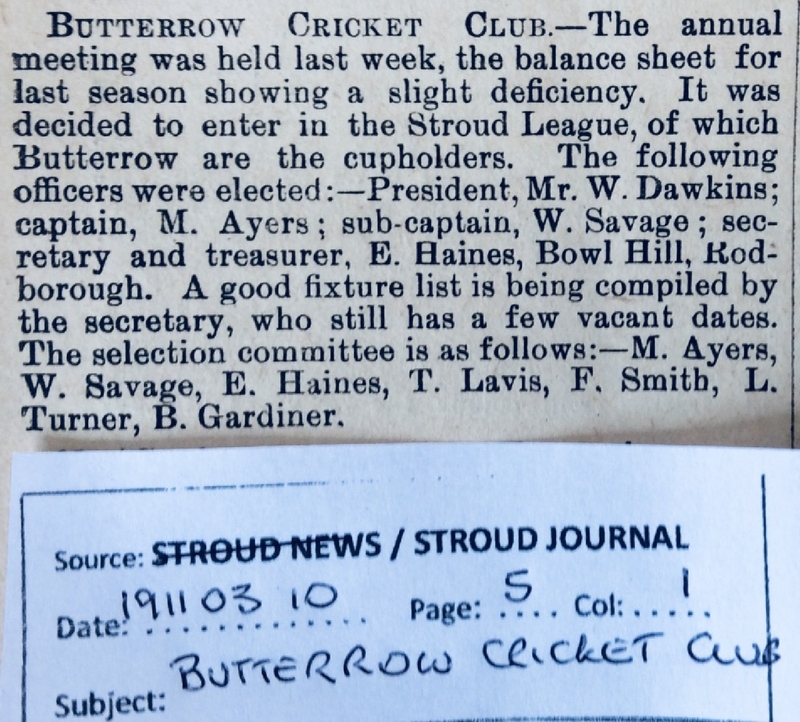 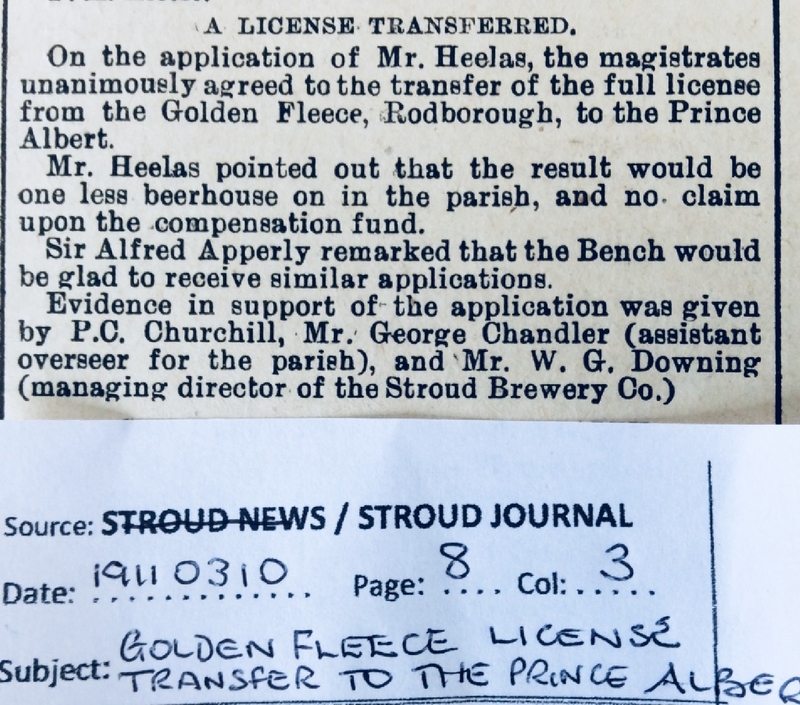 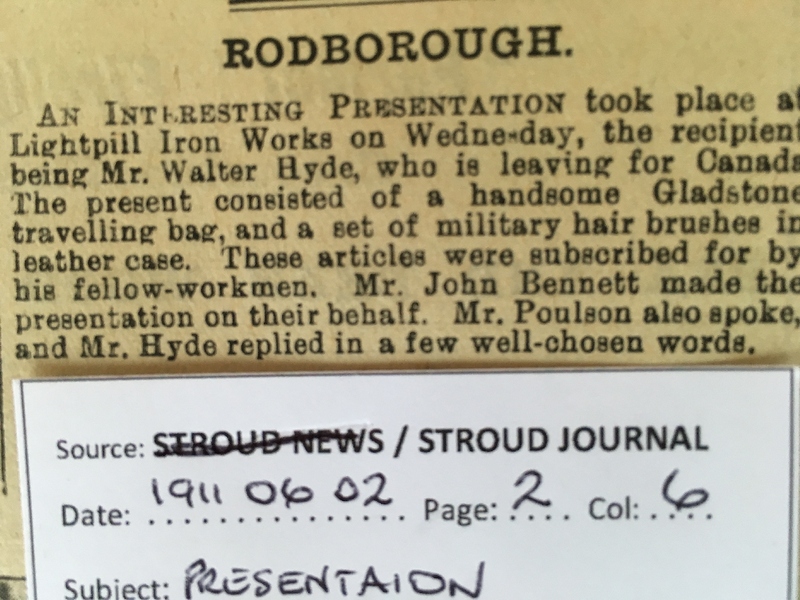 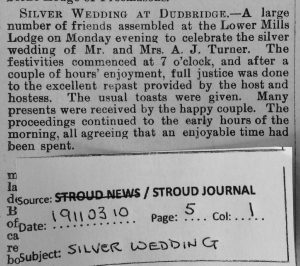 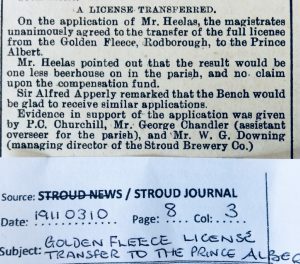 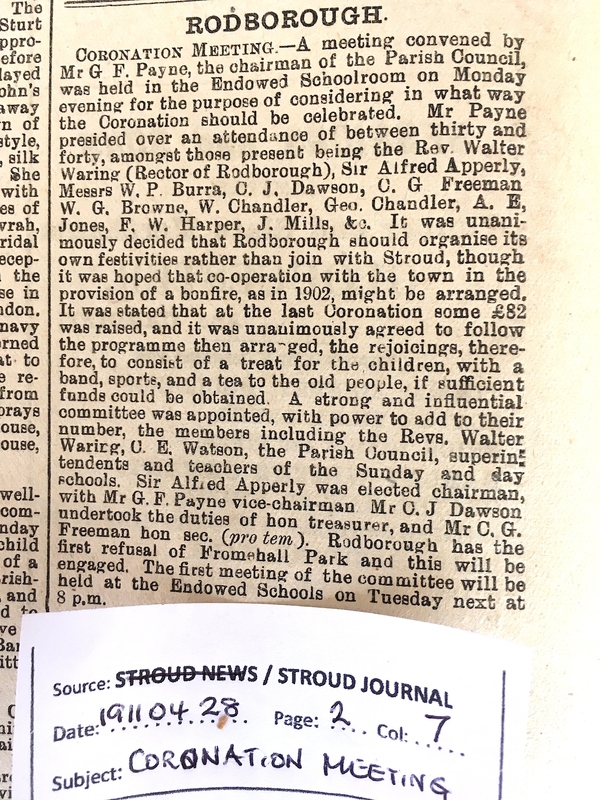 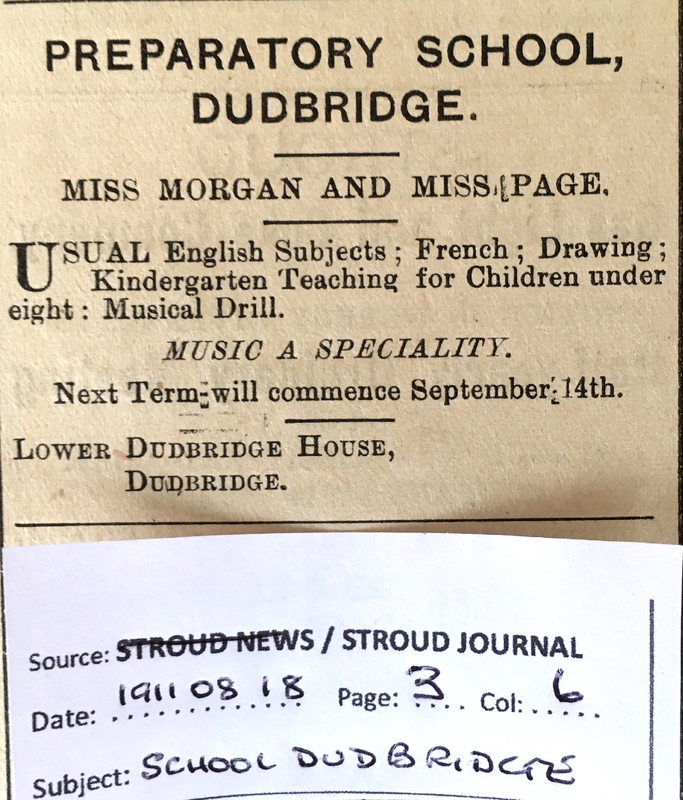 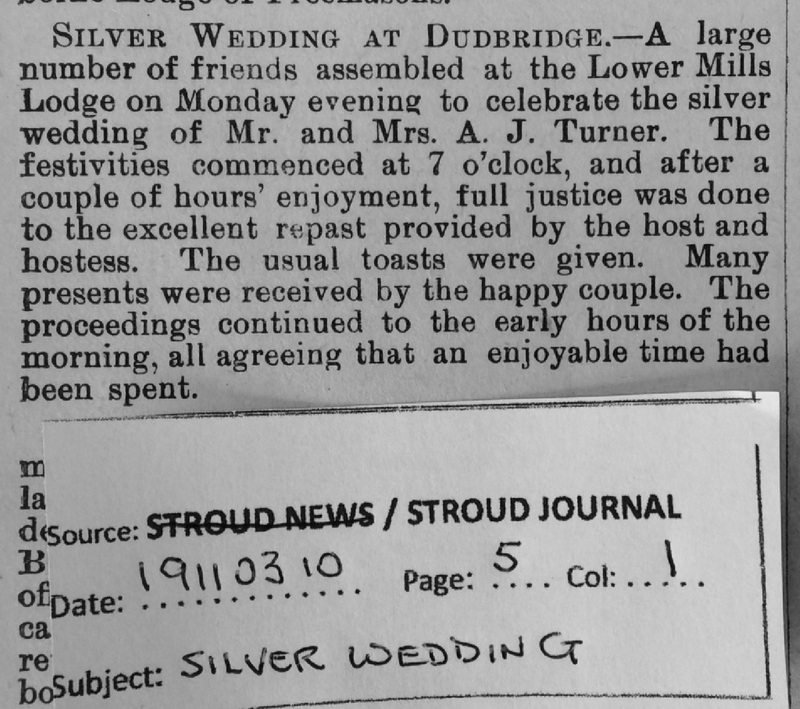 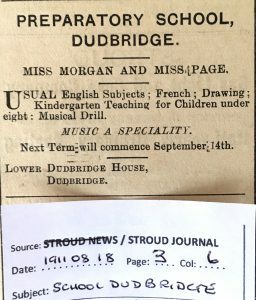 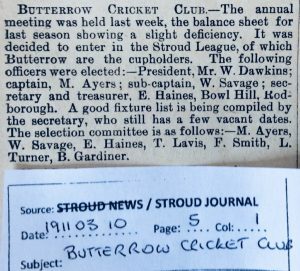 Reporting of a presentation in December 1910 to Sir Alfred Apperly at Dudbridge Mills, following the opening of new weaving sheds and long-service medals awarded to employees. 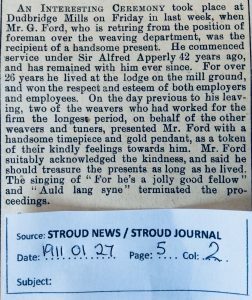 Mr G. Ford, foreman of weaving shed retired after 42 yrs at Dudbridge Mills. 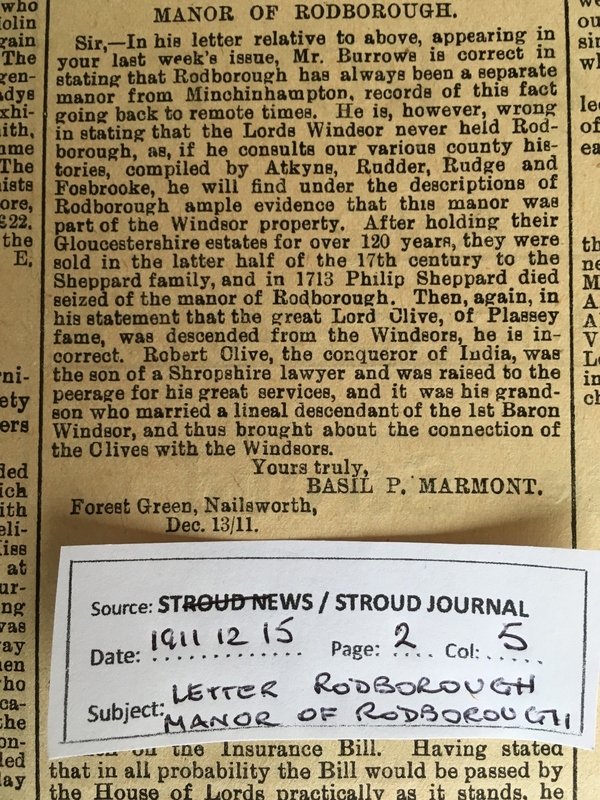 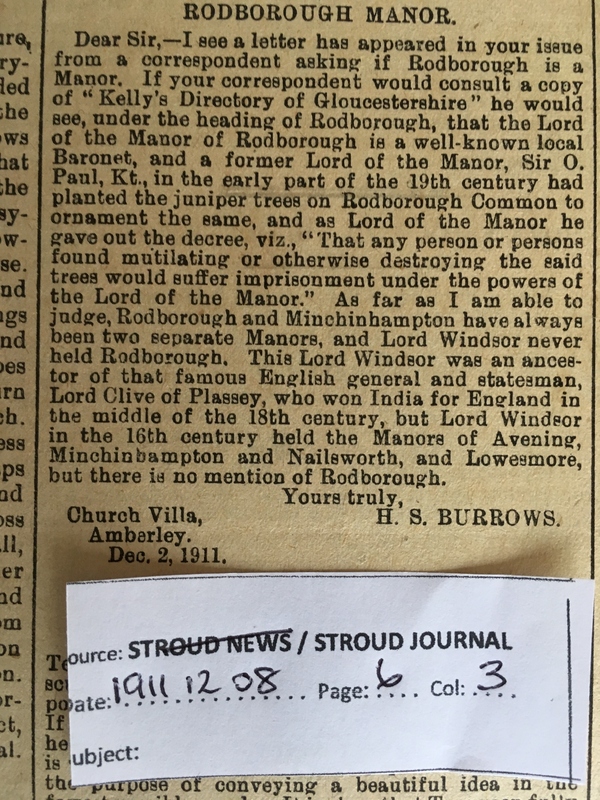 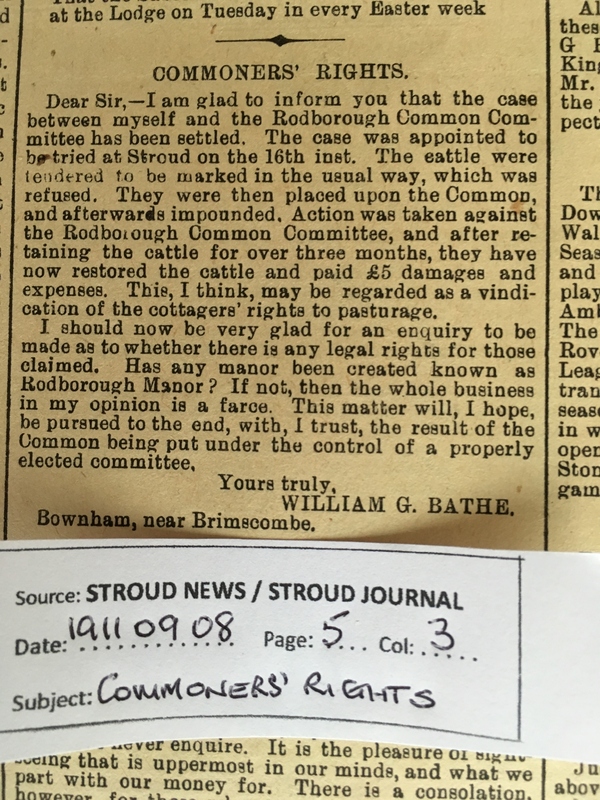 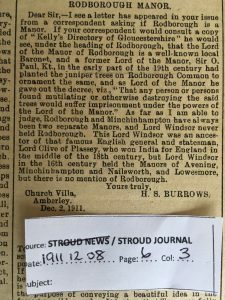 Rodborough makes its own plans to celebrate the coronation , independent of Stroud. 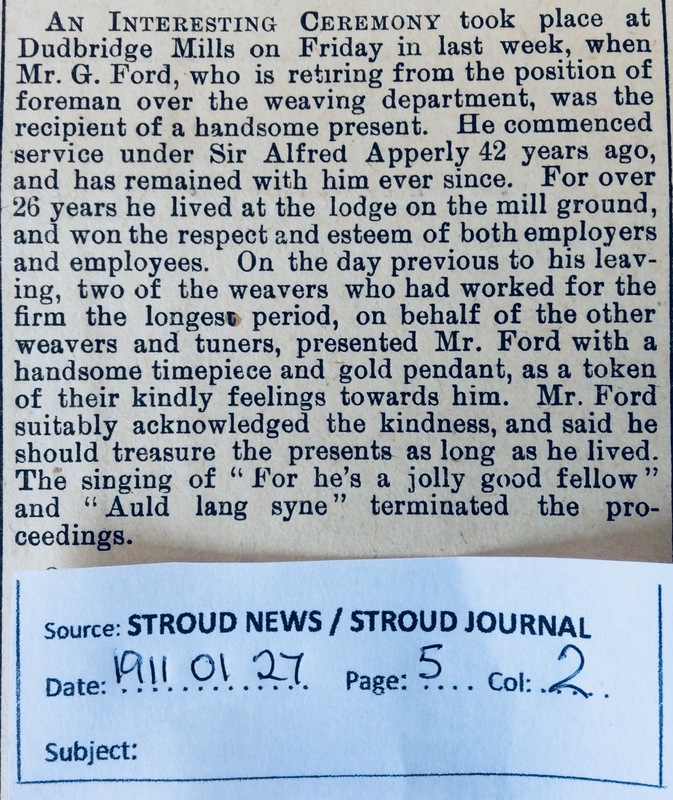 Death of local builder and undertaker William Shaylor of Field Terrace. 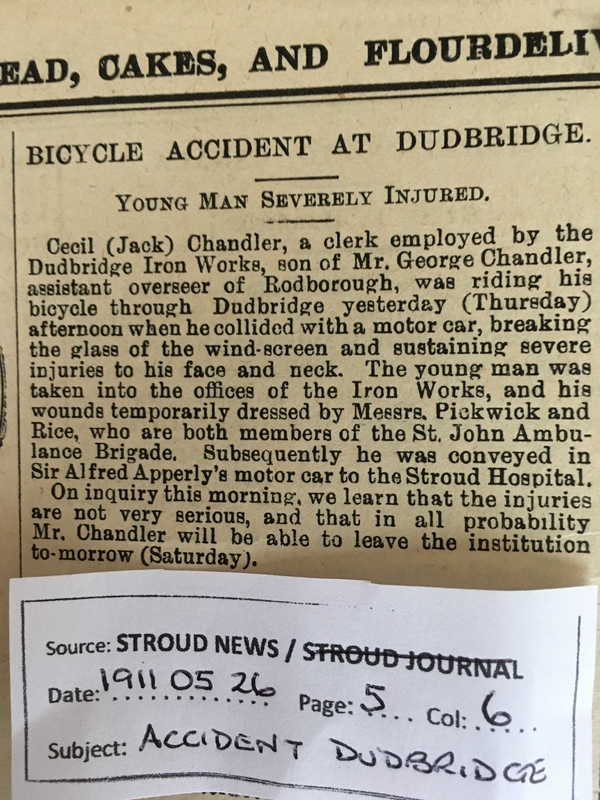 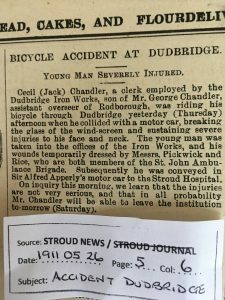 Jack Chandler was injured in an accident and conveyed to hospital in Sir Alfred Apperly’s motor car. 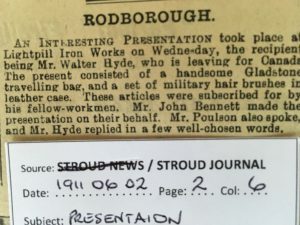 And Walter Hyde left Lightpill Ironworks for Canada. 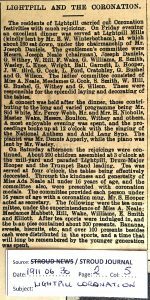 Lightpill Coronation festivities. 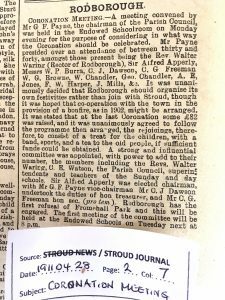 (The Coronation of George V took place on 22nd June). 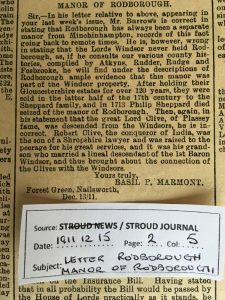 Rodborough celebrated and Rodborough Fort and Church were illuminated. 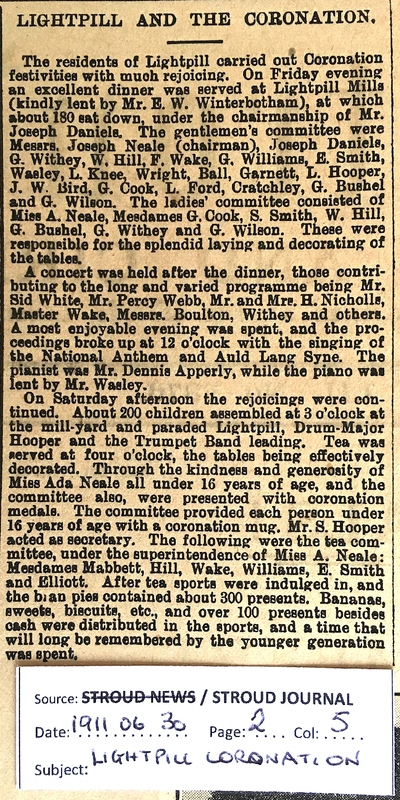 And a children’s treat was held at Fromehall Park. 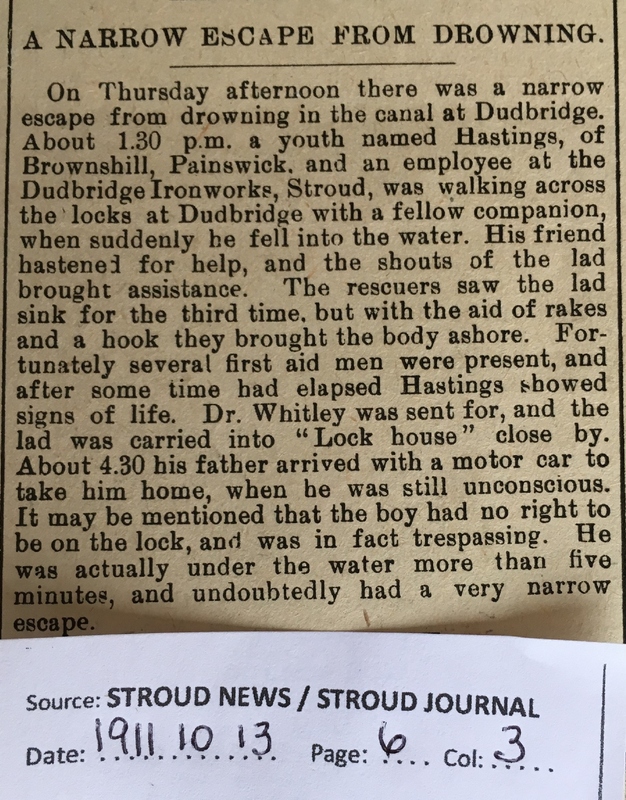 Fire at the Wallbridge premises of Albert Ashmead, wheelwright, carpenter and undertaker. 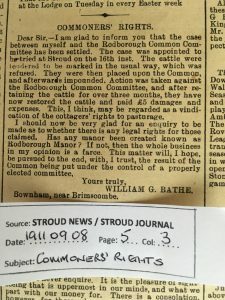 Dispute over commoners’ rights, Rodborough Manor and responses – William Bathe. 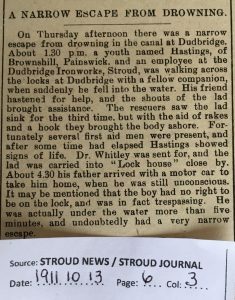 Near-drowning at Dudbridge Locks – goodness, was the boy OK in the longer term? 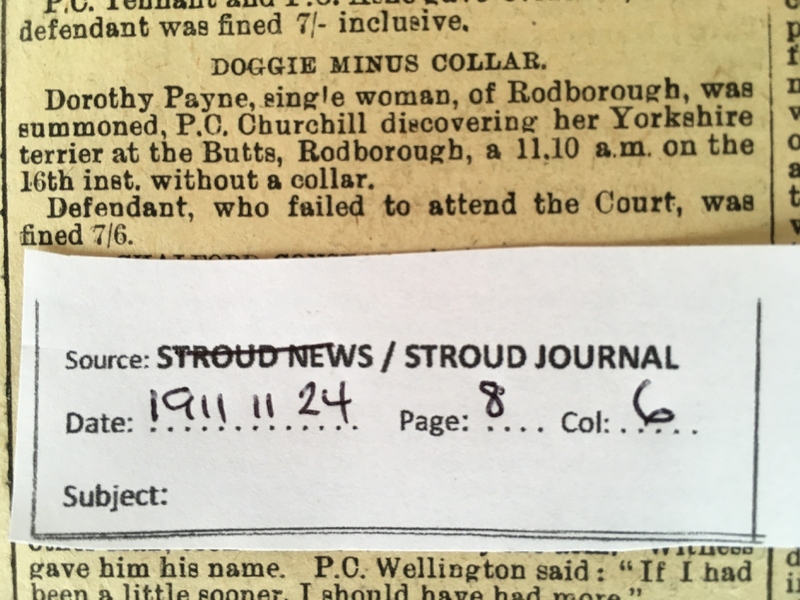 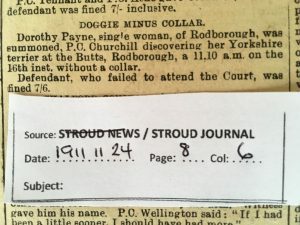 Dorothy Payne’s dog was found without a collar at The Butts.